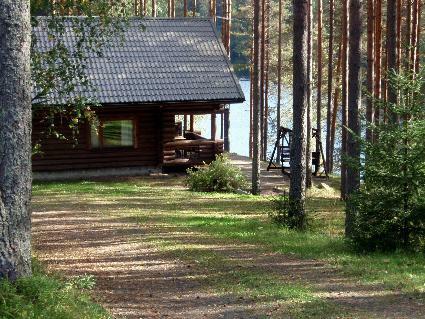 Cottages for rent / Kymenlaakso cottages / Kouvola cottages / Repovesi National Park cottages / Cottage to rent 6120. 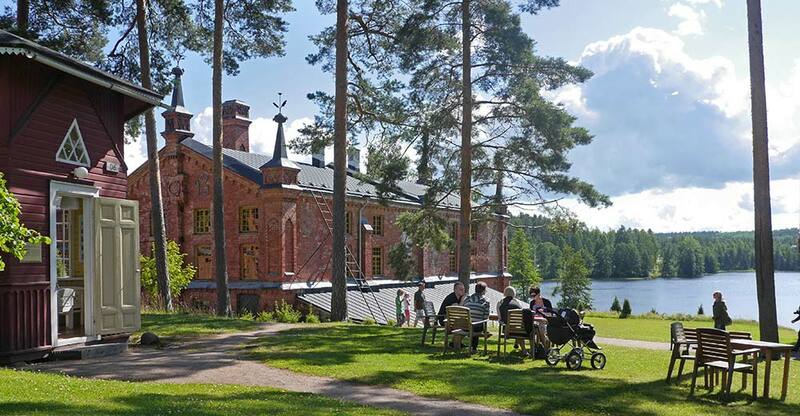 180 km north-east of Helsinki. 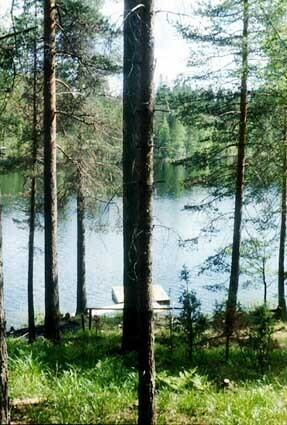 Lake Huhtjärvi 25 m (length 1,3 km, breadth 300 m), deep water, firm sandy bottom. Own boat. 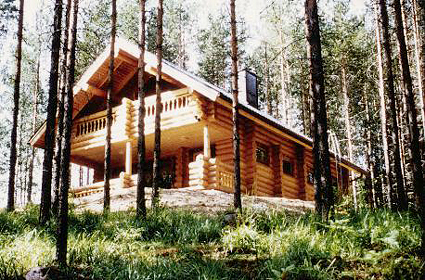 Log cabin 1994, kitchen, living room, bedroom with double bed, sleeping loft with 2 bedrooms one bed in each, bedroom 2 beds, washroom, sauna, open veranda. 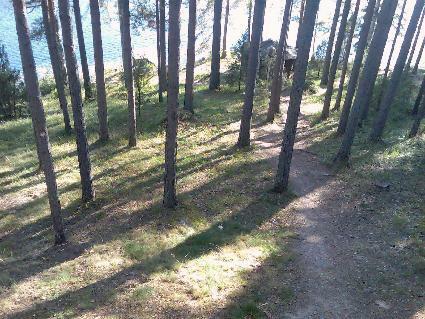 A steep slope from the cottage to the lake. Cottage has also a baking oven. Strawberries and raspberries sold by the owner in summer. Powerboating/jetskiing forbidden. Bedlinen included in the price for week bookings. 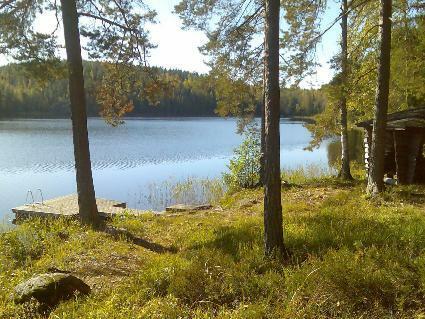 Name of holiday home: 6120.